Combine the first five ingredients in your food processor. Using coconut oil or water on your hands, remove mixture from blender and roll into balls. 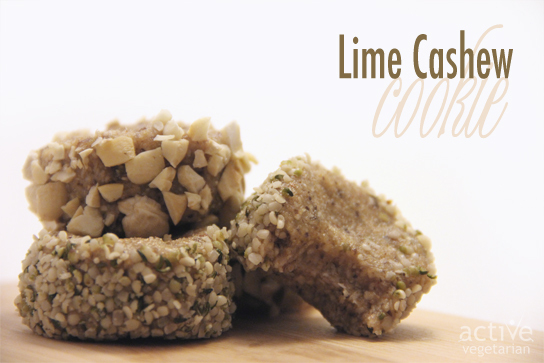 Roll balls in crushed cashews or hemp seeds coating them. Press them down into cookies or leave them as balls if you’d like. Serve, enjoy!